One Eighty Materials Testing has made an invaluable contribution to the stainless steel industry over the past 15 years. 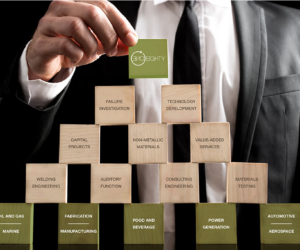 By offering a fully integrated engineering solution to local and international markets, One Eighty Materials Testing works across the oil, gas, marine, fabrication, manufacturing, automotive, aerospace, defence, food and beverage and power generation industries. It also works in verticals that include failure investigation, technology development, capital projects, non-metallic materials, value added services, welding engineering, auditory function and consulting engineering. 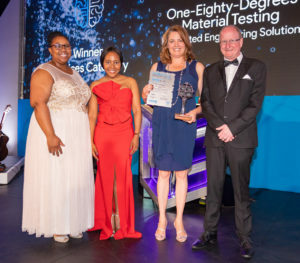 With a team of highly creative, vibrant and well-trained metallurgical, materials and mechanical graduate consulting engineers, One Eighty Materials Testing specialises in solving highly technical problems with reliable skills and abilities to provide efficient and cost-effective engineering solutions. More than just an organisation however, One Eighty Materials Testing contributes to creating stainless steel awareness through industry presentations to assist the industry to be more knowledgeable and offers a learning culture to support the development of students and young engineers in a tangible way. In this way it delivers young people to the industry who are well versed, trained and mentored; thereby adding value to the South African economy. field of materials science and engineering. The company has assisted the wine industry with many stainless steel and corrosion issues, the catering industry with mechanical issues relevant to stainless steel, as well as convincing petroleum producers to make use of duplex grades in order to provide cost effective solutions. All these efforts have helped these industries to become more efficient and competitive. 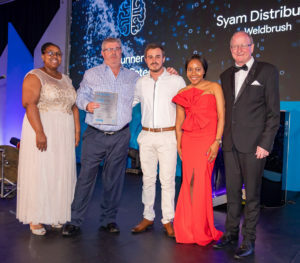 Steady product development leads to sustainable growth as Syam Distributors can attest with WeldBrush, a versatile, powerful, compact and robust weld cleaning machine which stands out from a solid field of competitors. the current is flowing, delivering chemical treatments to the surface of stainless steel, removing contaminants and assisting in the formation of continuous chromium-oxide, passive film. Featuring high quality conductive fibre, WeldBrush’s ‘miracle fibre’ conducts very high currents which pass down the fibre strand core and not through its walls. With a high molecular bond strength which minimises fibre breakdown, it can withstand high temperatures (600oC). With only a very small diameter (10 micron max) comprised of thousands of strands, WeldBrush maximises bundle surface area to retain reactive fluid at the site; and works well as a highly durable brush with an estimated cost of operation at R2 per meter. All chemicals used with WeldBrush are not harmful. 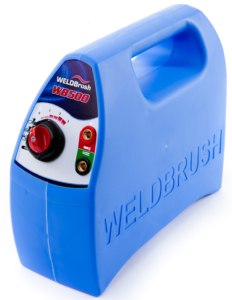 WeldBrush comes in two models, WB500 and WB700 and offers the ability to etch on the stainless steel as well. 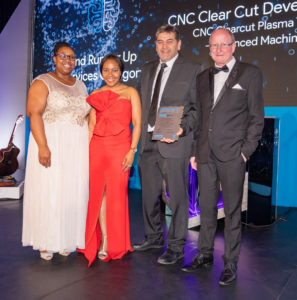 Celebrating 10 years of game-changing technology, CNC Clearcut Development has delivered the first designed, produced and locally manufactured and exported five axes plasma machines. 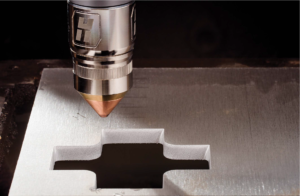 Providing unmatched X-Definition™ cut quality on mild steel, stainless steel and aluminium, the CNC Clearcut Plasma Table Advanced increases cut speed, dramatically improves productivity and slashes laser operating costs by over 50%. Higher quality cuts reduce or eliminate secondary operations and increase consumable life and provide improved optimisation.